WICHITA, Kan. (KSNW) – A warning to Kansans tonight. The Kansas Department of Health and Environment (KDHE) has issued a high-risk warning for West Nile virus infections (WNV) for northcentral, southcentral, and southwest Kansas. Northeast, southeast, and northwest Kansas are at moderate risk for WNV infections. 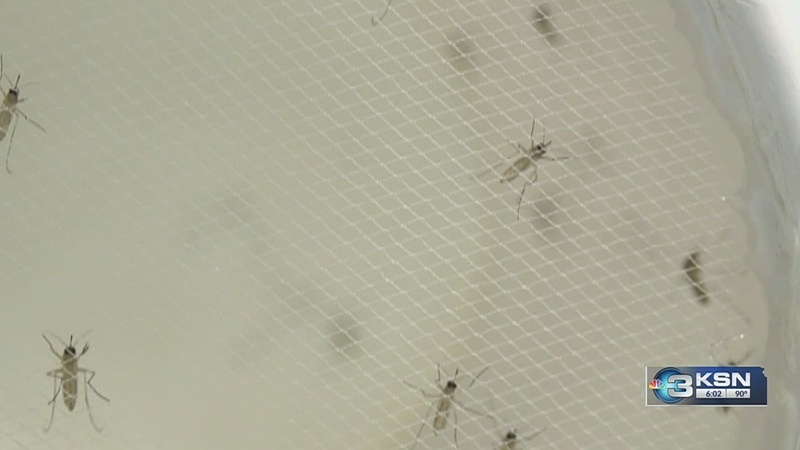 Right now, Sedgwick County health officials say there are no reported cases of West Nile here in the county. However, they say they normally see cases sprout up around the August and September months. It’s a virus that Beverly McKibban has seen affect her husband, Bill, first hand. “August 23rd, 2003, Bill was working on our deck, it was a Wednesday night, and he came in and said I cannot get my energy level up,” said McKibban. McKibban says the symptoms continued over the next few days. “Extreme fatigue and then he said his skin felt really itchy and strange, even though we couldn’t see anything,” said McKibban. She says it was enough to land her husband in the hospital. “A test was run and they said to me, Mrs. McKibban, the doctors says we are going to make you and your husband as comfortable as possible, he’s got West Nile, he’s not going to make it,” said McKibban. Luckily, after six weeks, McKibban says her husband was able to recover. Even now, 15-years later, she says he is still dealing with the effects of the virus. “It has been lifelong for Bill, every nerve ending in his body has been destroyed,” said McKibban. With the risk high here in southcentral Kansas and other parts of the state, Chris Steward, the Health Protection Director with the Sedgwick County Health Department, is urging people to be on the safe side. “Drain standing water around your house, dress in long sleeves and long pants, especially at dawn and dusk when those mosquitoes bite, and wear insect repellent when you are outside,” said Steward. Steward says the number of confirmed cases of the West Nile Virus in Sedgwick County has varied over the past several years. Last year, Steward says there was only one confirmed case, but back in 2012, there was 21 cases. Steward says that approximately 80 percent of people never develop any symptoms from the virus.